SEWERSTREAM – WHY USE PE FOR SEWER? We understand that your priority is to complete your project – on time and on budget. Making your job easier is our priority. Out team have years of experience in polyethylene pipe systems, and we understand your requirements. We offer a full range of quality pipe, fittings and tooling to help you achieve your goal – customer satisfaction. Local authorities required a major shift in wastewater systems. Man entry into the sewer systems is a hazardous procedure, and technology now offers a better alternative. Also, traditional sewer systems frequently have joint or structure defects allowing infiltration of stormwater and tree root penetration. The answer is Sewerstream. Welded polyethylene pipe systems have been in use internationally for many years in pressure applications. This technology is now available for use in sewer and wastewater applications. 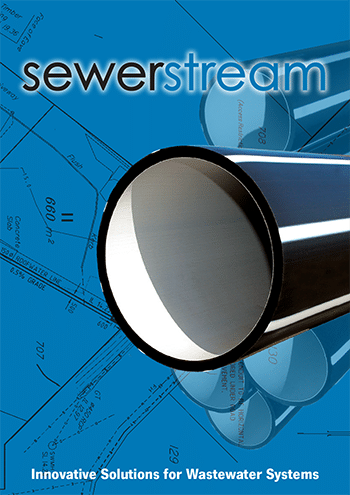 Sewerstream offers a fully sealed system designed for use with CCTV and jet rodding equipment. This allows both horizontal and vertical curves to be introduced. The majority of access structures in a Sewerstream system are PE maintenance shafts, welded into the system. Man holes will only be placed at complex junctions and at strategic locations as required.